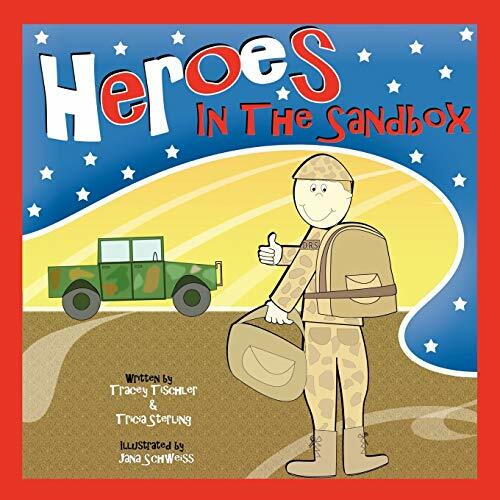 Heroes In The Sandbox is a Children's Picture Book that uses rhyming phrases to tell a story. It was written for young children who need an explanation when a loved one is being or has been deployed in the military. It can also be used as a tool for children who do not know anyone personally serving in Iraq or Afghanistan, but as a way to communicate why American Soldiers are there serving in a positive manner. This is the first Children's Book written by Tracey Tischler & Tricia Sterling. Their hope is to continue to explore topics difficult for children to understand through the use of child friendly words and pictures.